Do you like skateboarding but sometimes wish you didn’t have to work hard and simply enjoy the flow, especially when going uphill? 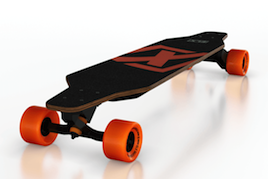 Then you’re going to love ELX Skate’s new electric skateboard. It’s powerful, eco-friendly and very well designed. Let’s have a closer look at it. 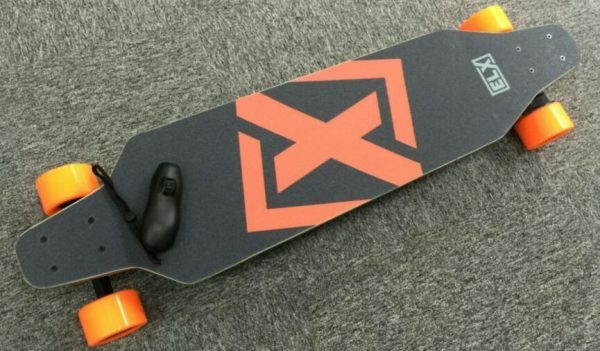 X1 electric skateboard from ELX is a stylish board with a 1200W belt-drive electric motor that provides enough power for you to enjoy skateboarding even when you want to go uphill. The board is made of Canadian maple and has an attractive design. The X1 has impressive specs that outperform a lot of other electric board brands. The board is made from 9 ply Canadian maple and is very stable when you’re riding. Its top speed is as much as 20 mph and its maximum range is impressive 18 miles. Going uphill is not a problem if you’re riding X1 electric longboard because it supports 20 degree hill climbing. All this makes ELX X1 one of the best boards out there and provides uninterrupted smooth flow. From the safety point of view, X1 is solid enough to help you hold your balance. This doesn’t mean it’s not light enough to carry around, weighing 13.2 lbs (almost 6 kilos). This electric skateboard has powerful regenerative braking that not only helps you come to a halt, but also saves energy. One of the major advantages of ELX X1 electric longboard is its fast charging. You only need to wait for 2-3 hours to fully charge the board (that’s less than the time needed to fully charge some smartphones). So you can easily top your board up quickly and get back to riding. The board also includes a hand-held Bluetooth controller with 60 minute USB charging. 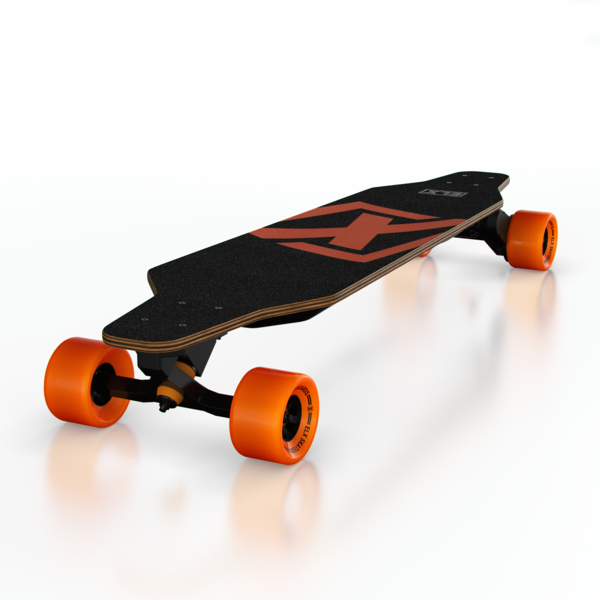 ELX X1 electric longboard has a contemporary design using a bold combination of black and orange. It’s designed to combine speed and stability, as well as look good. ELX X1 electric skateboard is one of the best products of its kind on the market. It combines great specs with cool design and a reasonable price of £549. Highly recommended.